The period sailing ship Pulcinella with its characteristic red sails is perfect for an adventure on the high seas. 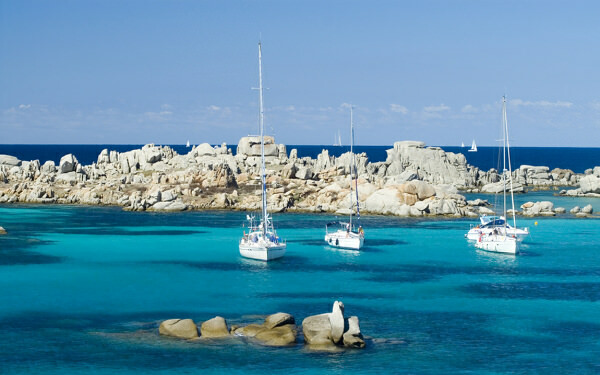 The itinerary includes a voyage among the islands of the La Maddalena Archipelago and the north coast of Gallura with stops at Budelli on the famous Cavaliere beach and the island of Spargi. A delicious “5 star” lunch, with sea food and typical local Sardinian food will be served on board accompanied by an excellent wine from the Gallura hills. Top class service is guaranteed by the crew who will be with you throughout the entire day. The tour makes use of an engine for the outward journey and sails for the return. Depending on the weather conditions, an alternative route is offered with the Isola Piana in Corsica as the destination. 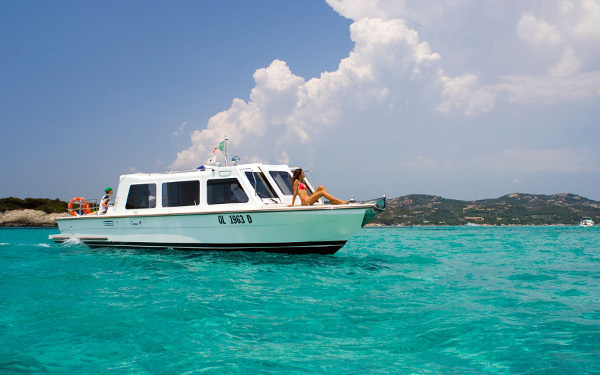 If you are looking for an action-packed day and you want to visit several of the most beautiful corners of the Sardinian-Corsican Archipelago, we suggest you take the mini-cruise on one of our fast motorboats, with a maximum of 12 guests. Crossing the Straits of Bonifacio is always exciting, and often made more so by seeing dolphins and on rare occasions even whales. 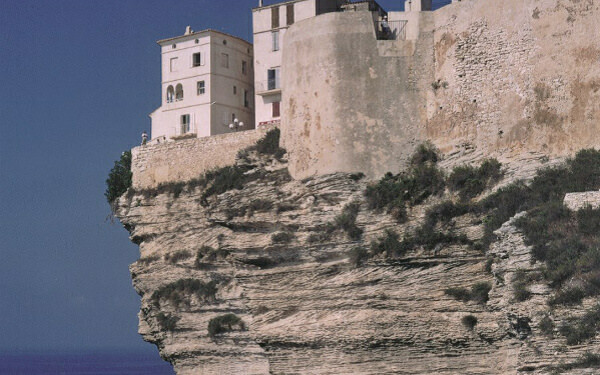 The trip starts from the pier at Cala Capra and goes along the coast past the famous Roccia dell'Orso and the north coast of Palau until you arrive at the charming city of Bonifacio for a visit to the historic old town. From here you continue along the south-east coast of Capo Pertusato, passing under the high white limestone cliffs to arrive at Punta Sperone and the spectacular strip of sand that is Isola Piana for your first swimming stop. After a tasty lunch prepared by the Hotel, you continue to the island of Lavezzi where you disembark near the beach for a walk around the island, to discover the enchanting sea bottom, or simply to relax on the beach. In the late afternoon, after a snack offered by the crew, you will return to the hotel. The Gallura hinterland is one of the marvels of Northern Sardinia, a jewel case of well maintained and cared-for historic traditions in an extravagant natural setting. 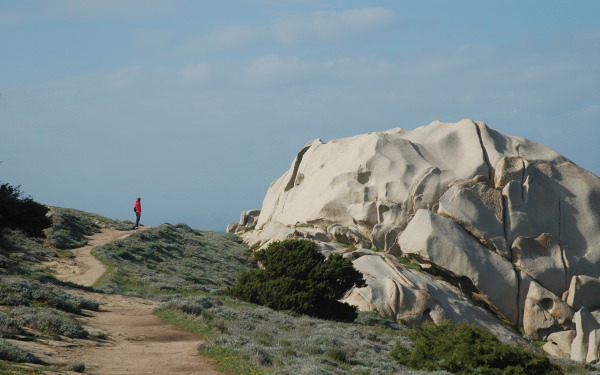 A journey among the places in this ancient region passing through hills enriched by the fantastic natural granite sculptures created by the Mistral wind. During the first stop, you will have the chance to visit the famous Giants' Tombs, important relics of the prehistoric periods. After travelling through the Gallura countryside, with its culture of the stazzi, you arrive at the geographic heart of this granite region stopping for a short tour of the charming small village of Luogosanto. 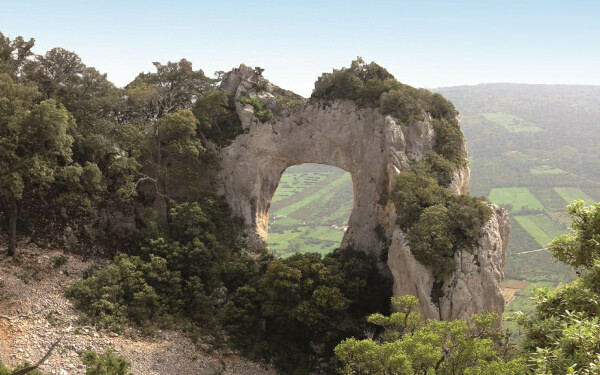 After stopping to look at the Basilica, you continue to the panoramic viewpoint at the hermitage of San Trano which has a magnificent view out as far as nearby Corsica. A stop to taste some of the typical local products momentarily halts your discovery of this area, but you soon set off again to visit the ruins of Baldu Castle. Passing through the area around Arzachena, you arrive at the Nuraghe la Prijona, a magnificent site which is a symbol of both the island and Sardinian history. 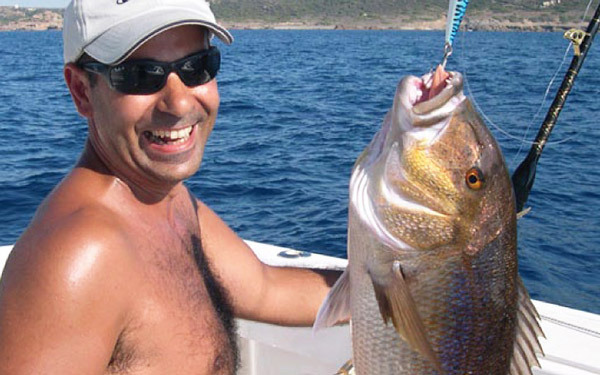 Sports fishing enthusiasts will want to take part on the exciting fishing trips which offer trolling, deep sea, drifting and surface fishing. 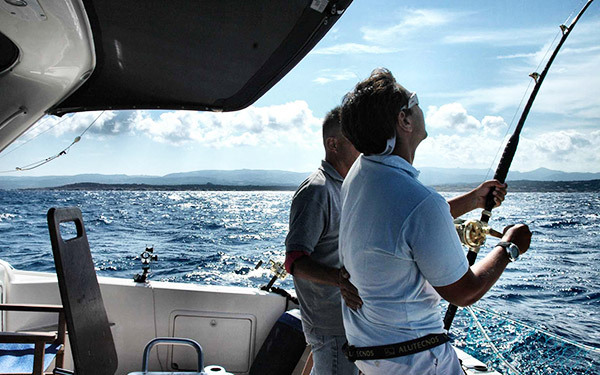 A made-to-measure high-quality service is guaranteed thanks to the use of prestigious boats and expert skippers. 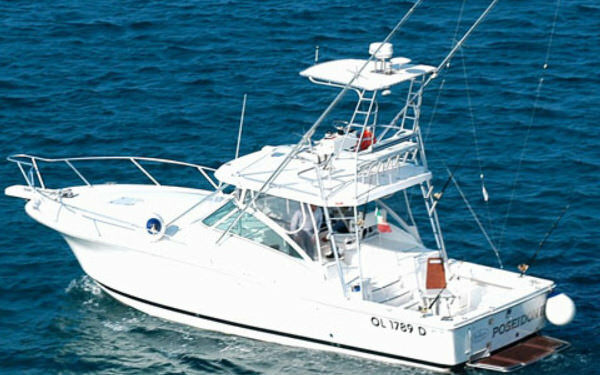 The fishing excursions are all inclusive. There is a 10% discount if you purchase this trip when booking the holiday. 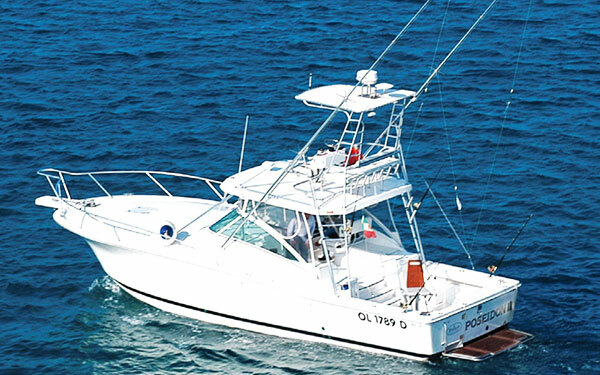 Delphina is happy to make available to its guests a prestigious fleet of pleasure craft near the hotel's pier. You will be guided by expert skippers along the most beautiful coastlines and bays for an exclusive and unforgettable excursion. You can choose the menu (when you book the trip) which is accompanied by attentive service on board, a delicious aperitif with champagne and one swim after another in the clearest Archipelago seawater in the world. Kayak and Stand Up Paddle, Trekking and Mountain bike. 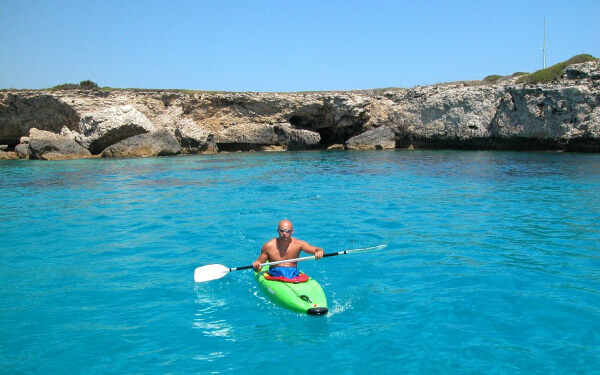 Kayak and Stand Up Paddle: Experience the sea in profound silence, hearing nothing but the sounds of nature, with a way of travelling that allows you to stop, swim, and explore the otherwise inaccessible coastline as and when you want. Trekking: Fantastic scenery and the smells of the Mediterranean scrub are your companions during the suggested trekking routes, splendid experiences of total natural immersion. You will have the chance to see breathtaking panoramas, natural monuments, and points of geological, floral, faunal and historic interest thanks to the choice of routes. These are excellent opportunities to dwell upon and go a little deeper into natural and archaeological concepts and ideas, thanks to the expert guides and specialists in this area. 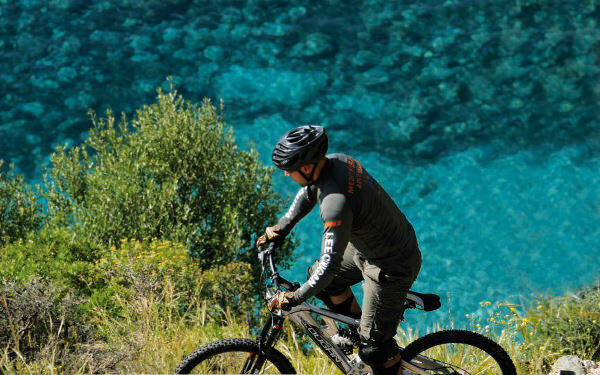 Mountain bike in Gallura: these mountain bike trips take place along tracks that generally have little or no traffic in a lovely and varied setting which combines panoramic dirt roads, enchanting single tracks, ascents, fast descents and sharp bends. Your effort will be amply repaid by the frequent sightings of wild animals, rare botanical species, the possibility of visiting archaeological sites and appreciating timeless natural beauty. These services are on request. The distances depend on the speed of the individual or group and the expectations that can be achieved during a period of time ranging from 3 to 8 hours. 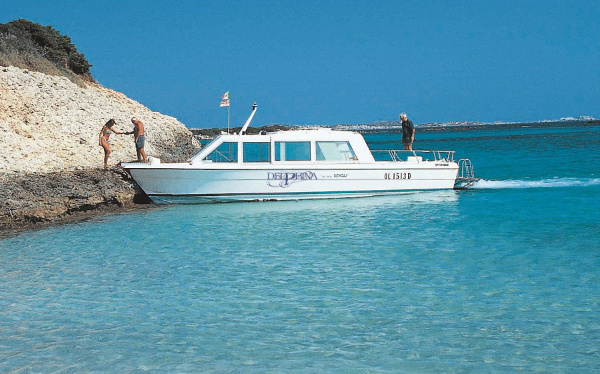 The Delphina Express is a fast motor boat which is ideal for discovering a new corner of paradise every day. 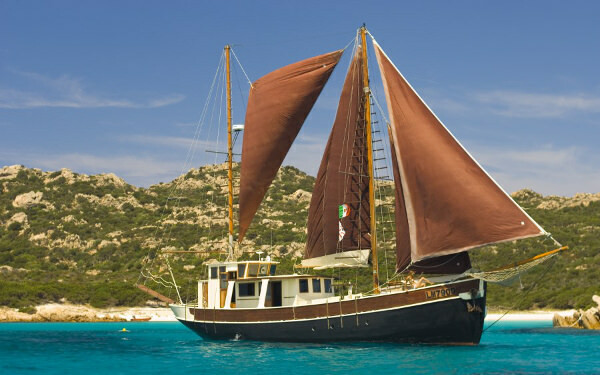 The half-day excursions give you the chance of reaching different destinations in the La Maddalena Archipelago for a swim directly from the boat, in limpid crystalline waters alongside pure white beaches. 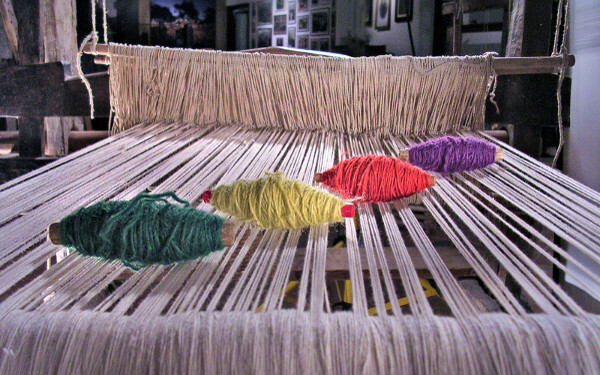 Alternatively, on Tuesday and Thursday, there is a visit to and a stop at the island of La Maddalena where you disembark directly in the town centre to walk around the characteristic old streets with their markets and craft workshops. 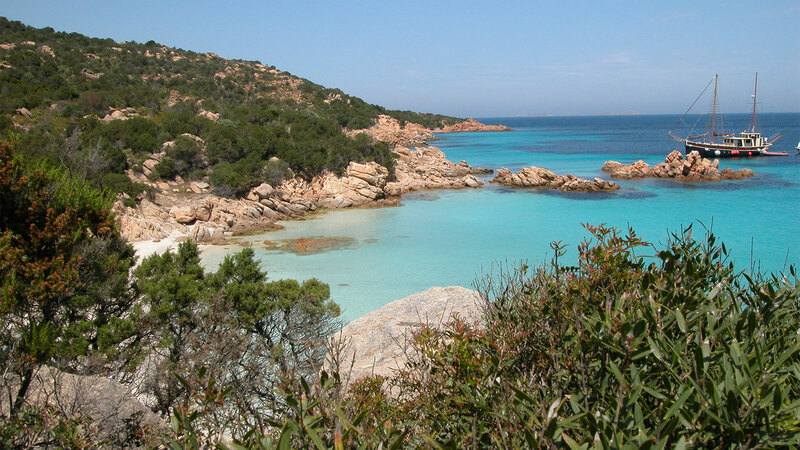 If you just want a half-day tour to explore the La Maddalena Archipelago in time to be back at the hotel for lunch, the Mini Tour of the islands will be perfect for you. 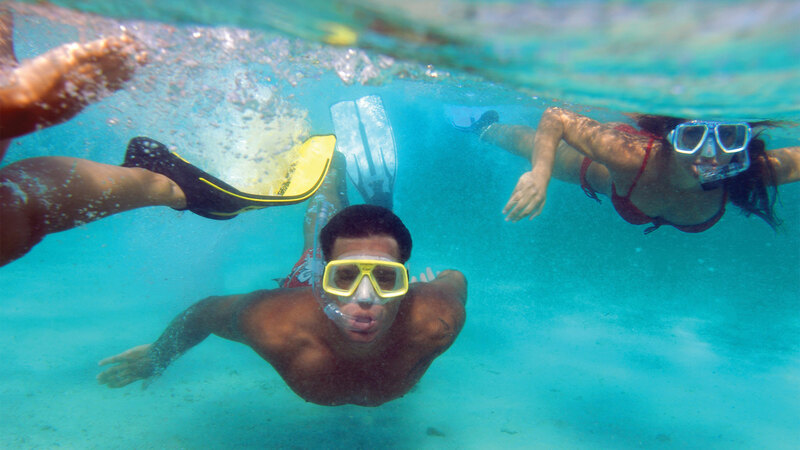 The trip is broken up by two or three stops in the most alluring yet least visited parts of the National Park to guarantee you an invigorating dive and a short pause for a swim directly from the boat. 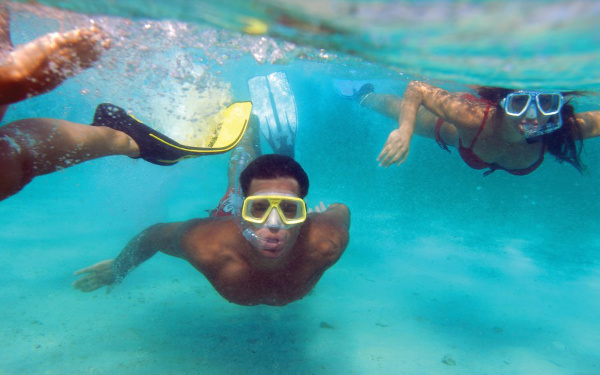 For those who are curious to discover and admire with mask and snorkel the crystalline sea beds of the Gallura waters which are rich in flora and fauna, we suggest the Sea Safari, an entertaining guided excursion which in addition to observing the marine eco-system gives you the chance to carry out active research and see dolphins and other forms of Mediterranean sea life. This half-day excursion, with our fast motorboat, follows a route which changes according to the sea conditions, and which can go from the island of Caprera to Spargi with the opportunity of visiting at least three islands and stopping at two for an enjoyable swim. 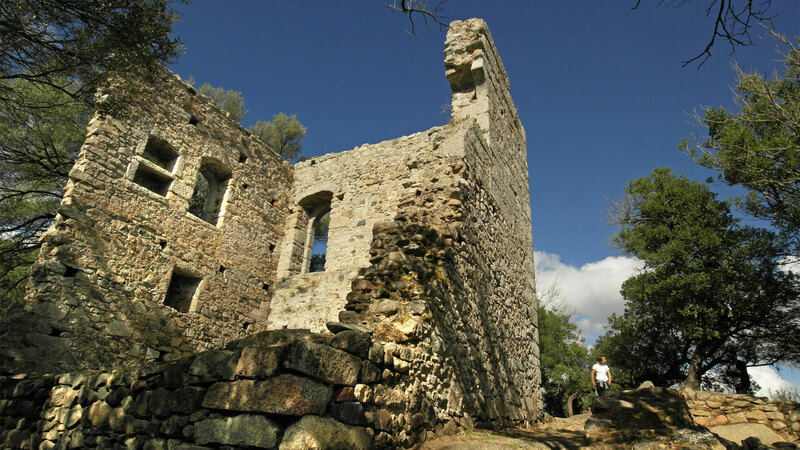 This tour is for those who wish to visit the most outstanding sites of archaeological, historic, ethnographic and cultural interest in Gallura, travelling through some of the most impressive roads in the region. 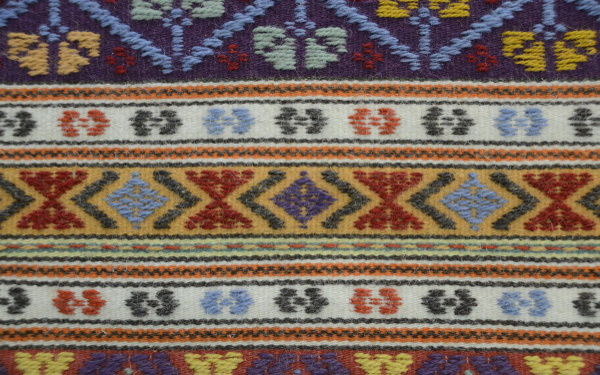 The tour lasts about 4 hours, with both morning and afternoon departures and the route and the kind of visit can be programmed to order, thus guaranteeing a wide choice of seeing the most representative sites together with the chance of visiting numerous other sites of natural and architectural interest. Meals and tastings can be organized upon request. 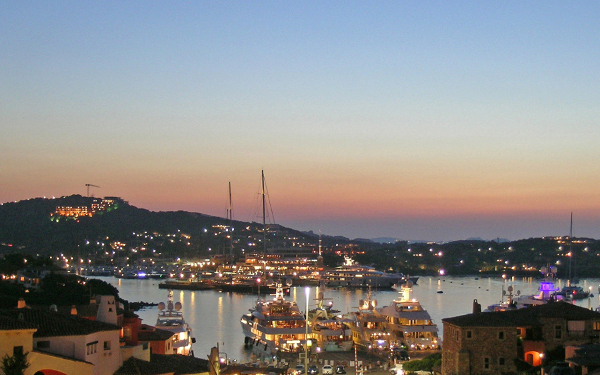 An exclusive, romantic and unforgettable evening, among the streets of the most fashionable highlife town on the Costa Smeralda. A guided tour allowing you to admire Porto Cervo and its surroundings and to go for a stroll in complete freedom and appreciate the tourist harbour at sunset, the famous square and the exclusive boutiques. For an excursion in complete freedom, you can hire a boat for an entire day.